Let us know which business specifics you are interested in so that we can help you find relevant commercial properties as and when we list them. By completing your registration you agree to our Confidentiality Agreement Terms and Conditions. Click here to view Confidentiality Agreement Terms and Conditions. Complete the form below to tell us about your business requirements. Completing this form also lets you view the full details of any properties on this site. If you have already signed up, please click here to log in. In consideration of Bradleys Countrywide disclosing or agreeing to disclose to us any Confidential Information (meaning information in whatever format or medium and whether written or oral as supplied by Bradleys Countrywide directly or indirectly) on any of the businesses Bradleys Countrywide are marketing for sale, we undertake Bradleys and “The Vendor” (meaning the individual, partnership, company or any other unincorporated association that has instructed Bradleys Countrywide to sell “The Business” operated by The Vendor) that we shall be legally bound in consideration of the mutual covenants and agreements set herein. “The Business” shall mean the business operated by The Vendor, its parent companies, subsidiaries and all its associated and affiliated, person, partnership, company, body or any other unincorporated association. A) Those officers and employees of ours or any parent company or subsidiary who reasonably requires in the course of and solely for the purpose of evaluation of an acquisition of The Business. B) To our professional advisers where necessary in connection of the proposed acquisition. We agree that any such disclosure is on the basis that such officers and employees and advisers are first made aware of and, accept and agree to be bound by the strict provisions of this undertaking and we will ensure that such officers, employees and advisers abide by such obligations. We shall treat the Confidential Information received private and confidential and shall maintain its status as such. We shall use the Confidential Information solely for the purposes of evaluating The Business carried on by The Vendor with a view to an acquisition of The Business and not for any other purpose including but without limitation to procure any commercial advantage over The Vendor or Bradleys Countrywide. We shall keep a record of each location at which the Confidential Information is situated and of each person who is given access to Confidential Information. Upon receipt of a written request we will make this list available to Bradleys Countrywide. We shall not disclose the fact that negotiations/discussions are taking place or have taken place concerning the proposed acquisition or any of the terms or conditions thereof save to the persons mentioned in paragraphs 3(a) to 3(b) above. We shall not without written consent from Bradleys Countrywide reproduce the Confidential Information whether in eye or machine readable format and we shall upon request by Bradleys Countrywide immediately return all Confidential Information in whatever format supplied to us all copies and destroy and analysis, compilations, reports and other documents or materials prepared by us or on your behalf which reflect or are prepared from any of the Confidential Information. We confirm the delivery to us of any information (including, without limitation, budgets and financial forecasts and projections which may form part of the Confidential Information) does not, and shall not be deemed to, constitute any representation/expression of opinion or warranty by anyone as to its accuracy or completeness. Nor shall it form the basis of any contract which may be concluded in respect of the proposed acquisition. We confirm that we, and the officers, employees or other representatives of our company, will not use the Confidential Information to make contact or approaches of any kind to the staff, customers or suppliers of the Vendor without your prior knowledge and written consent. We confirm we are acting as principal in the proposed acquisition and not as agent or broker for any person or company and that our interest is solely in evaluating the Confidential Information for the purpose of an acquisition. 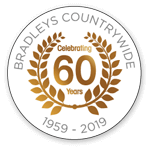 Bradleys Countrywide will not be held liable for any loss or damage suffered or may be incurred by us as a result Bradleys Countrywide or The Vendor supplying any confidential information as a result of any errors or inaccuracies in any of the information. We shall immediately notify Bradleys Countrywide upon becoming aware of any unauthorised disclosure, copying, use or loss of Confidential Information and we accept that we shall be responsible for any breach of any terms of this agreement by us or those persons to who we provide the Confidential Information. We confirm all the details entered are correct and complete. This agreement is governed by and shall be construed in accordance with English Law. Any disputes or claims arising under or in connection with this agreement shall be subject to the exclusive jurisdictions of the Courts of England and Wales.